Stealth Strategic Bomber: What do we know about Russia’s new strategic bomber 4.375 out of 5 based on 8 ratings. 8 user reviews. On March 1, sources in Russia’s military-industrial complex stated, that Russia has produced a full-scale model of its prospective heavy penetration strategic bomber (PAK-DA). According to Tass, the aircraft is being developed for the Russian Aerospace Forces by The Tupolev Design Bureau. It is expected that the first prototype will take flight between 2025 and 2026. Initially, however, it was assumed that the first plane would be delivered to the Russian Aerospace Forces between 2023 and 2024, while the first test flights were to be scheduled between 2019 and 2020. According to ‘Gazeta.ru’’s own source in Russia’s military-industrial complex, as of now a full-scale wooden monocoque of the PAK-DA, without wings, has been built. The design of the cockpit, as well as technology integration have been developed with the help of the full-scale model. Furthermore, there is a model made out of composite materials which is 1:10 scale, and can fly. In January of 2016, the Commander-in-Chief of the Russian Aerospace Forces, Colonel-General Viktor Bondarev reported that a prototype of PAK-DA could take flight before 2021. ‘Work on the PAK-DA is currently taking place at a sufficient rate. Our task remains: Send a prototype into the air by 2021. But if development progresses at its current rate, it will be ready even earlier, said Bondarev. In the autumn of 2016, Deputy Minister of Defense of the Russian Federation, Yuri Borisov reported that PAK-DA could be introduced to the public as early as 2018, and its specifications could significantly exceed those of existing strategic bombers. Later it became known that development of the new bomber was delayed because of the resumed serial production of the Tu-160 in the modified version: Tu-160M2. According to the most recent reports, the first prototype of PAK-DA will take flight between 2025 and 2026. The PAK-DA will not be an evolution of the Tu-160 (Unofficially, ‘White Swan’), but rather it will be a principally new aircraft. 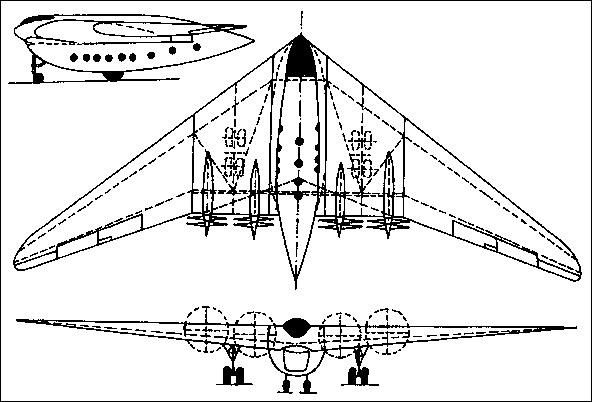 The Tu-160 was supposed to be produced separate from the PAK-DA, even before it became known that production of the Tu-160 would resume with the modernized version Tu-160M2. It is expected that PAK-DA will employ radar reduction technologies (‘stealth’) to the maximum. Furthermore, it will be made of radiation-absorbent materials, and all weapons systems will be housed inside the airframe. According to its design, the aircraft will have a subsonic cruise speed, which will make it both quieter and less vulnerable to infrared surveillance. Moreover, PAK-DA will be equipped with the newest tools in electronic warfare, with no effective global equivalent. According to TASS military expert Viktor Murachovsky, this aircraft will function as an element of strategic deterrence, by non-nuclear means. In accordance with defense contractors, what lies ahead in 2025 with PAK-DA will be the possibility of an element of strategic deterrence, by non-nuclear means, or in other words: a high-precision weapon of strategic penetration. PAK-DA will be an invaluable element of this deterrence. Viktor Murachovsky states, it will function according to the new modes of aircraft heavy penetration, which will include long-range cruise missiles, and, in all likelihood, hypersonic strike capabilities. According to experts, this requires development work not only in aircraft design, but also avionics and strike capabilities, with which it will be fitted. Russian military-industrial contractors have been tasked with conducting such work. According to open source information, there are ten different options for the future aircraft design, but the first model of the PAK-DA has been made according to the ‘flying wing’ design. Research based on this design has been ongoing since the late 80s at the Central Aerohydrodynamic Institute named after Zhukov (TsAGI). 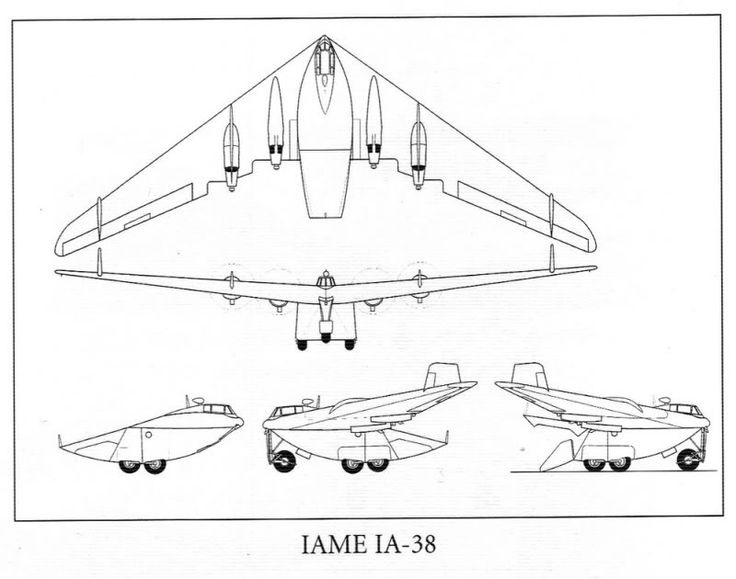 Essentially, the design consists of a reduction of the aircraft fuselage into one single wing, within which all aggregates and aircraft systems, including weapons are contained. The ‘flying wing’ doesn’t have any horizontal tail stabilizers, although it could have one or two keels. This design allows the aircraft to attain higher aerodynamic efficiency specifications, lower take-off weight, and improved material and fuel efficiency of the aircraft. TsAGI’s experience is coming into play. Of course, everything is based on its huge technological and scientific capacity, which have been accumulating over decades. But the time has come to undertake new projects, and this begins with the new strategic bomber. Viktor Murachovsky claims that production work will only begin after the completion of developmental results, after which a prototype will emerge. In 2014, at an international exhibition, a representative of the United Engine Corporation announced that the engine of the PAK-DA will be based on the second iteration of the HK-32 engine, which was derived from the engine in the Russian Tu-160 strategic bomber. The Radio-electronic Technology Corporation (KRET) is already working on the avionics for the prospective aircraft. KRET together with Tulopev, are already undertaking Research and Development work. The aircraft will be equipped with an entirely new systems of electronic warfare. According to the General Director of the corporation, the aircraft will use both new and proven aerospace technologies. Some of the systems and applications will be derived from other proven aerospace systems that have already proven their reliability and efficiency. The most modern strategic bomber in the United States is the B-2 Spirit. It is also based on the ‘flying wing’ concept and it too has an unusual external appearance. It is often compared to an alien spaceship. The rumors had been circulating that the aircraft was designed and developed in Area 51, according to alien fragments. The B-2 is the most expensive aircraft in the United States Air Force. In 1998 dollars, the price of one B-2 Spirit was $1.16 billion dollars – the entire program: almost $45 billion. Likewise, enormous amounts of money are spent to operate and maintain the B-2 program. Furthermore, only special hangars with an artificial climate can accommodate the B-2. This is to preclude ultraviolet radiation from damaging the radar-absorbent coating of the aircraft. The ultimate evolution of this program is the NGB (Next Generation Bomber) – the B-3. According to the program, by 2020, a tender for the next generation strategic bomber of United States Air Force will be chosen, and its serial production will begin in 2035. 80 to 180 aircrafts are expected to be brought into service. According to open sources, the cost of a single aircraft will be between $500-550 million. ‘Not only are we not chasing the USA, we’re intent on blazing our own trail. We’re not producing the PAK-DA to chase American strategies, but to develop our own aviation industry, and aeronautical sciences. According to the military commentator of TASS, Viktor Litovkin, the new aircraft will be the culmination of this progress – in science, technology, and military operations. Was lagging behind vs the new concepts. Me 262 engine might last a few days. ..or a few hours. Wave guide /scram jet technology. The German Me 262’s engines had a flight time of 25 hours, long enough to be practical and they were designed to be replaced. As it was, they shot down at least 500 allied bombers. It did come too late in the war, it took them a little while to figure out what type of armament to use for the aircraft. Their favorite weapon, the auto-cannon was impractical because it only gave them a few seconds of firing time before the jet had to veer off to avoid collision. They finally figured out that the best weapon were wing mounted rockets which had a greater range, they could fly parallel to the bomber formations, turn in, fire and then leave. One rocket was enough to bring a bomber down. The Horten was a beautiful design, the Germans built two flyable prototypes. That was a truly novel design and did have a reduced RADAR signature and a higher flight ceiling than anything the allies had. That’s not alien, that pure Lippisch. 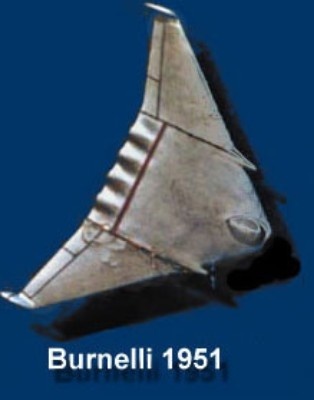 Lifting body recalls us to Burnelli designs, though he used slab-sides, hardly every sweeping back the edges of his bodies, and he almost always put proper tails on them. He had some ideas of the ’50s and ’60s for such a planform, with only wing-tip “tail fins”. Russian makers have been ignoring his sort of advances in lift and efficiency, and endlessly chasing what the US does. Is there any reason this PAK-DA could be like the Tu-404 instead of a look-alike blended wing-body?